Tummy time is one of the earliest ways your baby will learn to play. The American Academy of Pediatrics (AAP) advises that infants always sleep on their backs to reduce the risk of SIDs, but they also recommend that babies get plenty of tummy time when they’re awake and alert enough to play. Tummy time helps develop your baby’s neck and upper-body muscles for better head control and also helps prevent the back of her head from becoming flat. The AAP says you can begin tummy time the first day your baby is home from the hospital. Place her on her tummy for three to five minutes at a time, up to three times a day or as often as she seems to enjoy it. 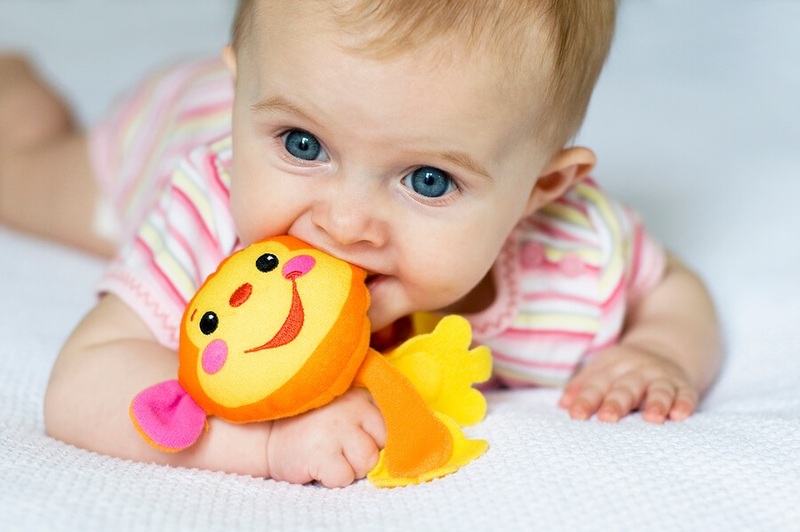 Increase tummy time as your baby gets older and stronger, and place toys in front of her to encourage reaching, creeping, and eventually crawling. Babies love to explore the world through touch. Allow your little one to feel the different parts of your face and his stuffed animals’ faces with his hands. Say the names of the parts of the face as he touches them, and direct your baby’s hand to touch his own nose, mouth, ears, and more. Guide your baby’s hands to your face while you speak and make facial expressions so that he can get to know how we use our faces to communicate. Boxes are so much fun! There’s no need to buy fancy blocks to build your infant’s motor skills. Wrap up some smaller boxes (such as cereal boxes or shoe boxes) with recycled newspaper or wrapping paper and allow your baby to handle them and learn to rip them open. She will love the sound of the paper ripping as she pulls on it. She will also enjoy stacking boxes, knocking them over, and rebuilding the stack with your help. You can turn just about toy into a pull-along toy. 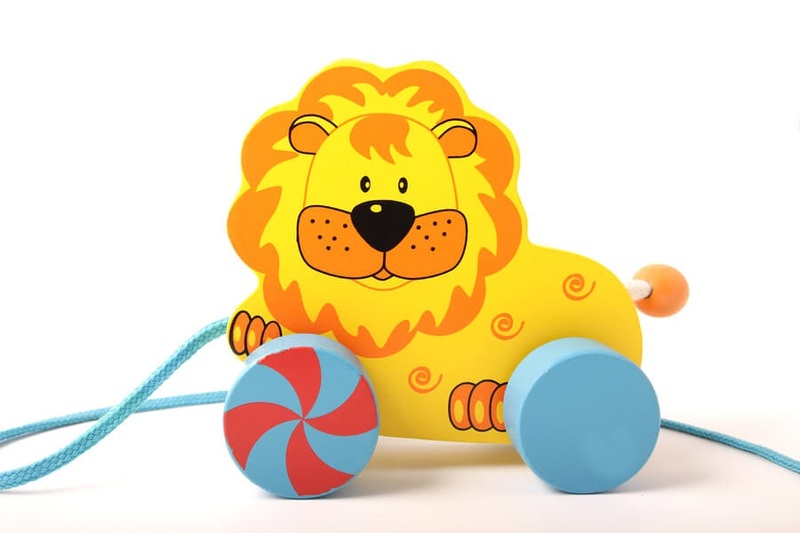 Simply attach a piece of yarn or a shoelace to your baby’s toy truck or the arm of his stuffed animal, and encourage your little one to give it a tug. He’ll be delighted to see the effect of pulling his toy on a string! As he begins to crawl, put the string just out of his reach so that he has to move to grab it and reel-in his toy. 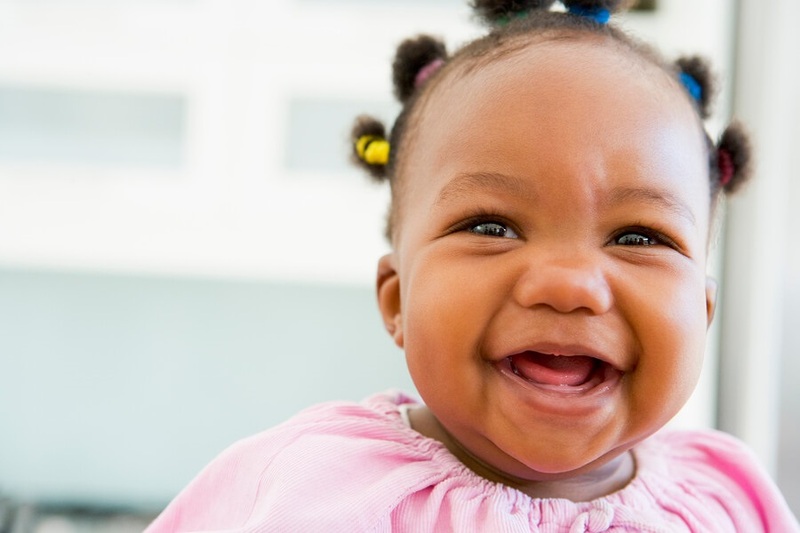 What could be better than making your baby laugh? It’s not just good for your soul — it helps her develop her sense of a humor, which is an important part of human communication. Pay attention to whatever your baby finds funny, and repeat it. Use props like funny hats, big sunglasses, and mirrors to make your baby giggle. As your baby begins to scoot and crawl, try laying rugs, blankets, or items with different textures on the floor for him to explore as he travels across them. Nubby carpet remnants, sticky contact paper, and noisy bubble wrap are just a few ideas. Also, carry your baby around and help him feel the textures of different surfaces, such as a cool brick wall or a round staircase banister. Splish splash! 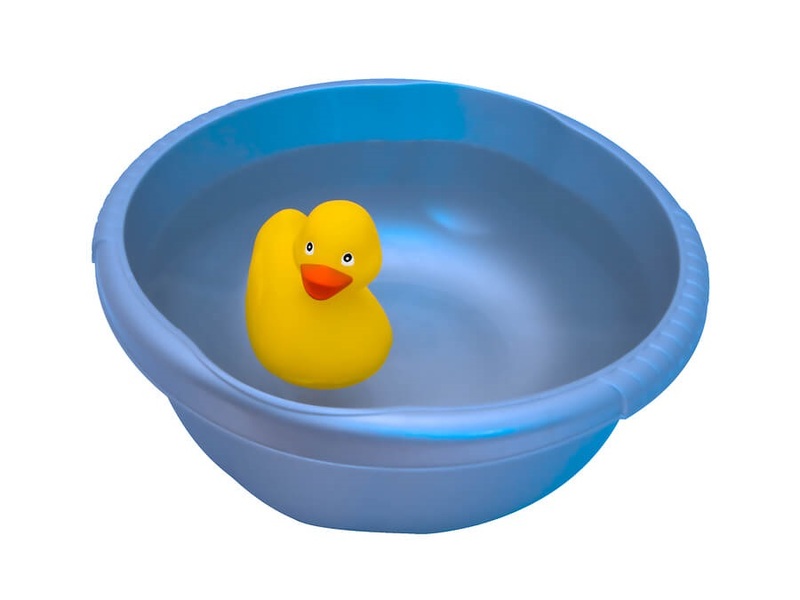 You don’t have to save water play for bath time: Fill a small plastic tub with water and various squirty toys, plastic cups, kitchen ladles, and other items that you and your tot can use to make a splash. Non-toxic bubble bath adds another fascinating element to water play. Just remember never to leave your baby unattended near water, even for a moment. It’s not polite to point — unless you’re a baby (or playing with a baby)! 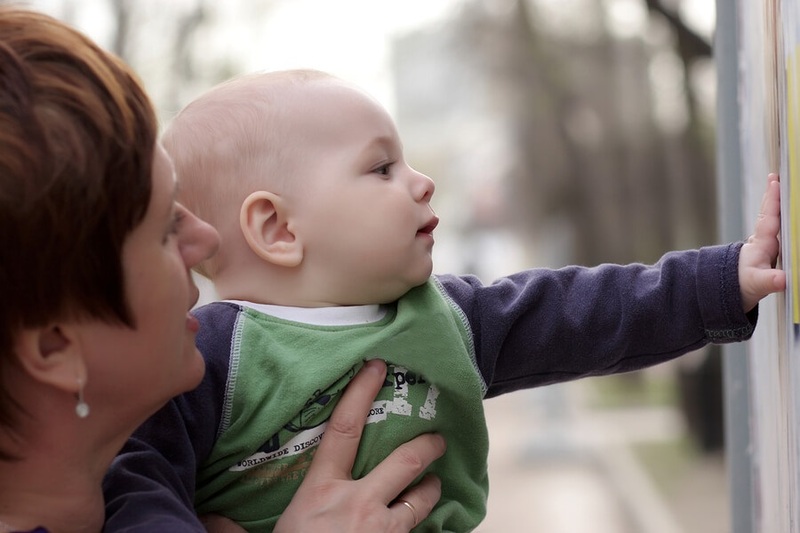 Carry your baby around and point to different objects and things while saying what they are. Even if your baby isn’t showing signs of speaking or making many sounds yet, he is listening and observing as you speak. Point to things and ask, “What’s this?” You’ll be amazed one day when he is able to answer you! Get it! 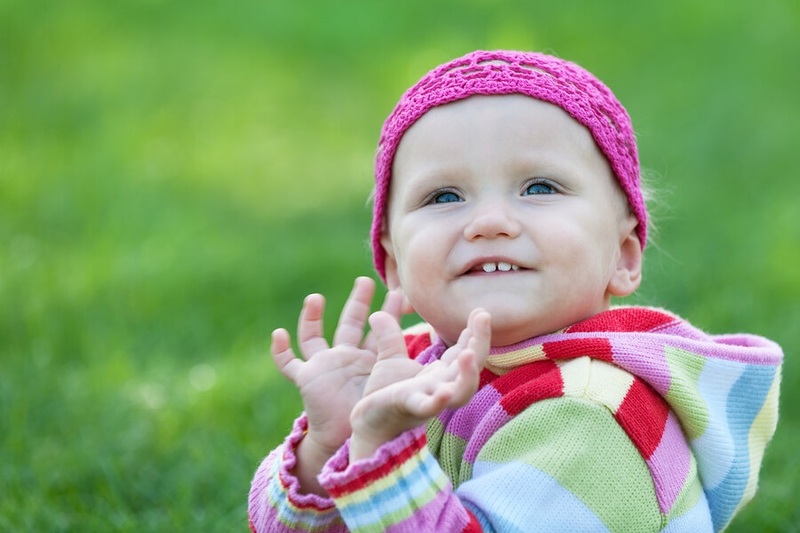 Gentle games of catch give babies a thrill — and help develop their hand/eye coordination. Gather some lightweight, colorful scarves and toss them in the air so that they float down in front of your baby and she can attempt to grab them. If you don’t have scarves, you can use non-toxic bubbles in your game of catch. 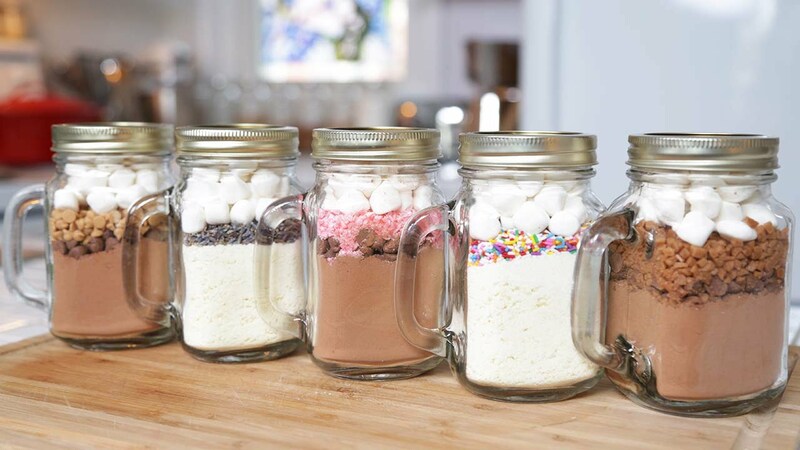 If your baby is on the move, he’s surely curious to raid your cupboards. Instead of making them all baby proof, leave one designated for play — it’s a great way to allow some controlled exploration in the kitchen. 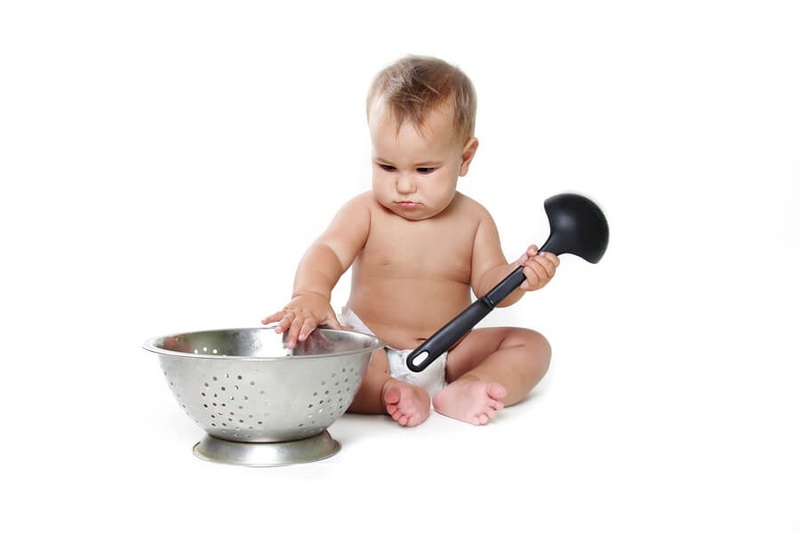 Put some pots, pans, wooden spoons, and other safe objects within their baby’s reach so that he can entertain himself while Mom or Dad is busy in the kitchen. You probably have a talented little drummer on your hands! Before you know it, baby will be stirring up imaginary meals, modeling his parents. 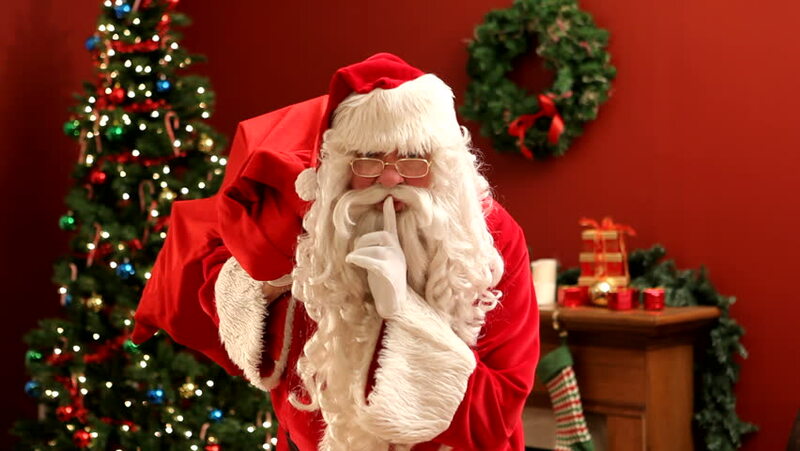 Hmm… which toy is the best? Give your baby two toys so that he’s holding one in each hand. Offer a third toy so that he can practice his decision-making skills: Should I exchange one of my toys for this other one? Can I try to hold all three?! It’s a physical and mental exercise for your little guy. Reading is a fun escape and a mellow form of play — a great habit for a child to get hooked on at a young age. 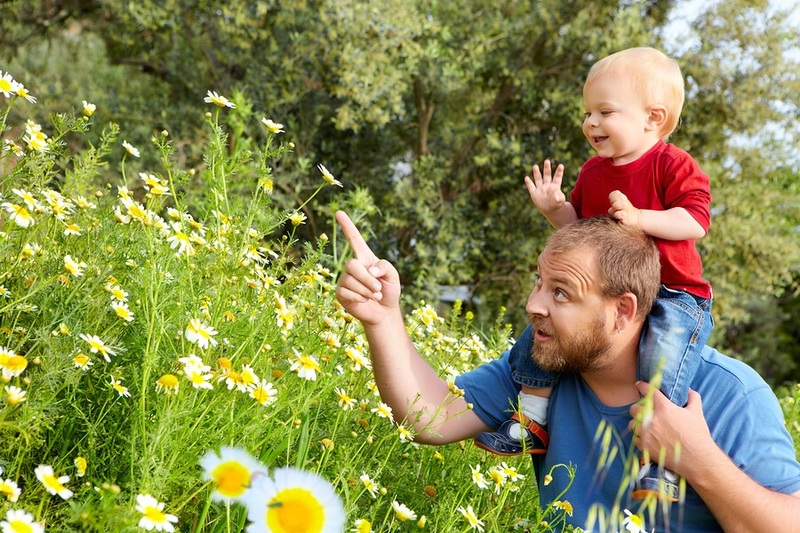 Hearing new words and seeing colorful pictures will stimulate your baby’s brain. At the end of a busy, playful day, make reading a bedtime story part of your bedtime routine, and carry it through to the toddler years and beyond.